Lettuce is a mild-flavored, leaf vegetable commonly used in salads and sandwiches. Butter lettuce includes Boston and Bibb varieties, which have a slightly sweet and buttery flavor. Refrigerate unwashed leaves in a plastic bag in the vegetable drawer. Do not store lettuce with melons, apples, pears, or other ethylene gas-emitting fruits as they will cause the lettuce to turn brown. Lettuce and many other leafy greens may wilt easily. Often, they are just dried out which can occur even if the greens remain in constant refrigeration. 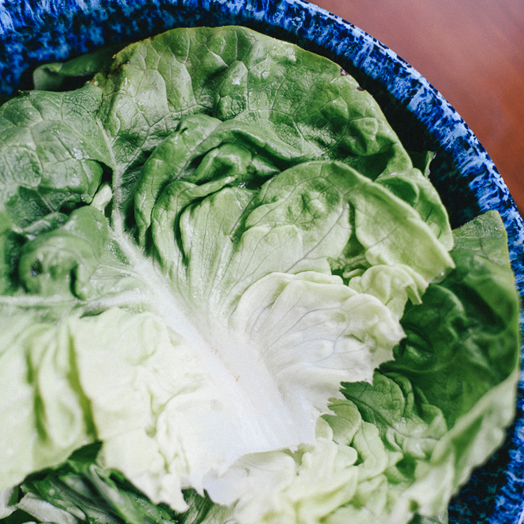 To refresh lettuce, submerge the wilted greens in cold water and keep in the refrigerator overnight.